Well, it's here. The very first trailer for a movie coming out in four months. It's... not a bad trailer. My interest in what Disney does with SW is waning greatly... but it's not a bad trailer. It'll serve it's purpose for both fans and Disney. I suppose that's about the best anyone can ask for at this point. Given the track record of the non-saga films (albeit with a sample size of one) I don't see why you're being so pessimistic. Yes, TFA and TLJ were mediocre, but Rogue One was the best SW film since ESB. 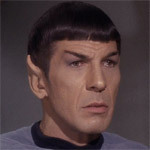 Captain Seafort wrote: Given the track record of the non-saga films (albeit with a sample size of one) I don't see why you're being so pessimistic. Yes, TFA and TLJ were mediocre, but Rogue One was the best SW film since ESB. I loved Rogue One and have watched it at least half a dozen times on Blu-Ray or Netflix. If I came off as pessimistic, forgive me. I simply mean that it'll give the fans what they want and Disney gets to make a wad of money. None of these one-off movies will ever have anywhere close to the cultural impact of the first trilogy. This looks like it has the potential to be a fun action movie set in the Star Wars universe and has the ability to bring some more lore to the Canon universe - which is fantastic and will do exactly what it sets out to do. My only issue is I'm having a hard time picturing the guy as Han. He just seems like some random dude. stitch626 wrote: My only issue is I'm having a hard time picturing the guy as Han. He just seems like some random dude. This seems to be a common issue. Unfortunately even Disney can’t go back in time to pluck a 22-year-old Harrison Ford for this movie. Has Ford become inextricably bound with Han Solo in the conception of myriad fans? Sure. Will I be disappointed? Probably. But determining now that “he’s not Han” is simply a self-fulfilling prophecy, a resolution to dislike the movie before bothering to see it. Didn't we have these discussions when Star Trek (2009) came out. Nobody else could be Captain Kirk other than William Shatner, etc. McCoy was so right it was almost reincarnation. 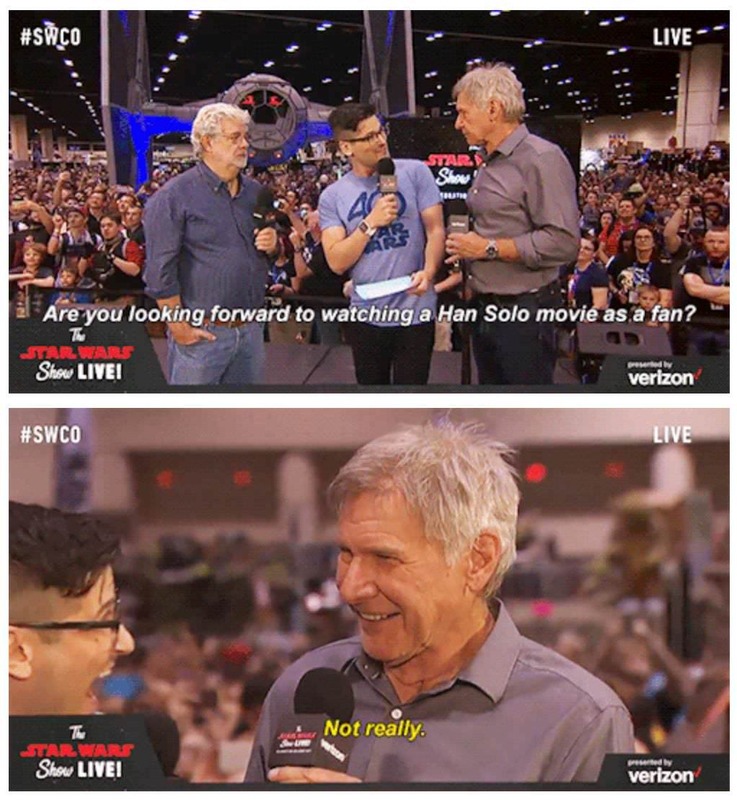 We'll have to see if he can pull it off for Solo. 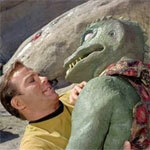 IanKennedy wrote: Didn't we have these discussions when Star Trek (2009) came out. Nobody else could be Captain Kirk other than William Shatner, etc. McCoy was so right it was almost reincarnation. We'll have to see if he can pull it off for Solo. Yeah, I was very dubious about anybody playing those roles. But Pine did a great job with Kirk, Quinto was amazing as Spock, Urban was fantastic as McCoy. Yelchin nailed Chekov, too. Saldana Uhura didn't feel like the original, but then the original Uhura didn't have much of a character really. Sad to say, Pegg's Scotty was the worst of the bunch. Scotty was never the comedy sidekick, and he was never nearly as cowardly as Pegg's version. Like you see, be interesting to see if he can pull Solo off. He doesn't seem very Solo-like to me in the trailers, but then the trailers give very little to go on. I think I remember. I've never felt any role is truly... unique to an actor or actress. To me, any role can and, if necessary, should be recast. You need a micrometer to measure the amount of fucks he gives. Look at Kenobi's face when he said that line in ANH. Solo was bullshitting there.